How much do you like skateboarding? If you are a big fan of this sport, then you probably know about electric skateboards and how they work, but if you are a beginner and do not know many things about this domain, then you should take a moment and inform yourself because electric skateboards are more and more popular these days. There are many models with different features out on the market and they all work with the help of electricity. The cool thing is that you can choose from diverse designs and models and suit your own needs. If you want a skateboard for travelling around the neighbourhood or a skateboard that you can take with you to the skatepark and make interesting tricks with it, then you might like the Maxfind electric skateboard that has a dual motor because it can do both. Having a skateboard like this is really cool among kids groups, but grown people like them, too. This is a good option for kids and even for people of all ages as long as they are light in weight and the skateboard can take up with their weight without any troubles. You can experiment unique moments with an electric skateboard and this one from Maxfield promises to give you that. The board is very simple to operate with it’s remote control and long board style. Here’s a great video that describes how the board works. This electric skateboard from Maxfind is what you need if you are looking for an easier way of travelling around the neighbourhood or to school or work when the traffic is stuck and you can skate smoothly instead to the destination. With the help of a remote control, you can accelerate the speed (up to 28km/h), take turns and slow down the speed. 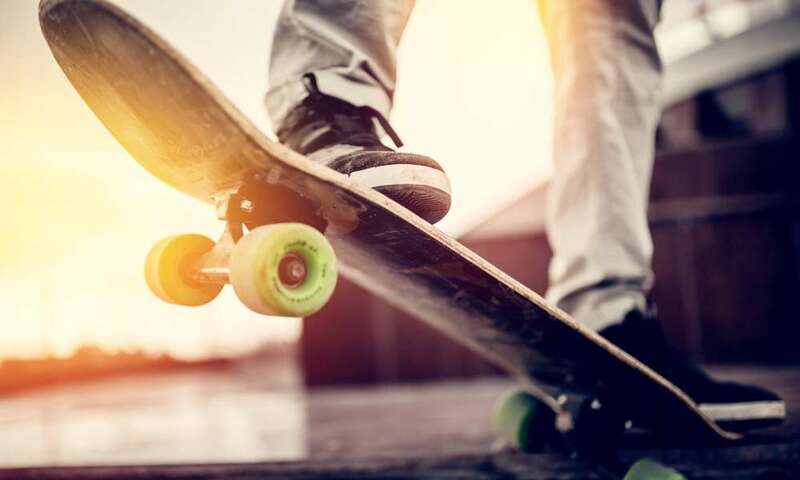 The wireless remote controller will charge itself in 30 minutes, while the battery of the skateboard (Samsung 18650 Lithium-ion) will take about one hour the be fully charged. You should always make sure to prepare yourself before taking adventures with a skateboard. You must put safety in the first place and make sure to purchase a safe helmet, gear for your knees and elbows and wear them everytime you are skating. 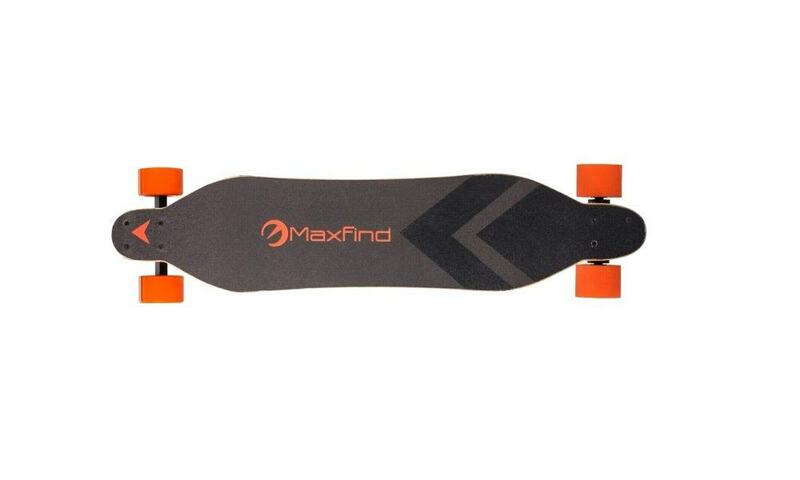 If you take all of the above mentioned and compare the pros and the cons, it is easy to notice that the pros outcome the cons and per total this skateboard from Maxfind is a good option if you are looking for purchasing an electric skateboard. The board is super fun to use and it also can come in handy when you are going to school or work in the mornings and the traffic is horrible and you can not spend time being stuck. This offers you the possibility to skate smoothly to your destination and also lets you do amazing tricks if you are into that. You can also take this skateboard to the skatepark and experience new adventures with your friends.